A deliciously smooth lip balm scented lightly with lavender, palmarosa and spearmint. I take organic virgin coconut oil, unrefined shea butter, mango butter, castor oil, calendula oil, avocado oil, organic olive oil and organic beeswax and melt them together to just the right silly consistency and then scent them with pure essential oils. This lip balm is not meant to be left in a hot car. Also, this isn't "chapstick" where you have to rub the on your lips twenty times to achieve moisture, so go gentle with my my lip potion! 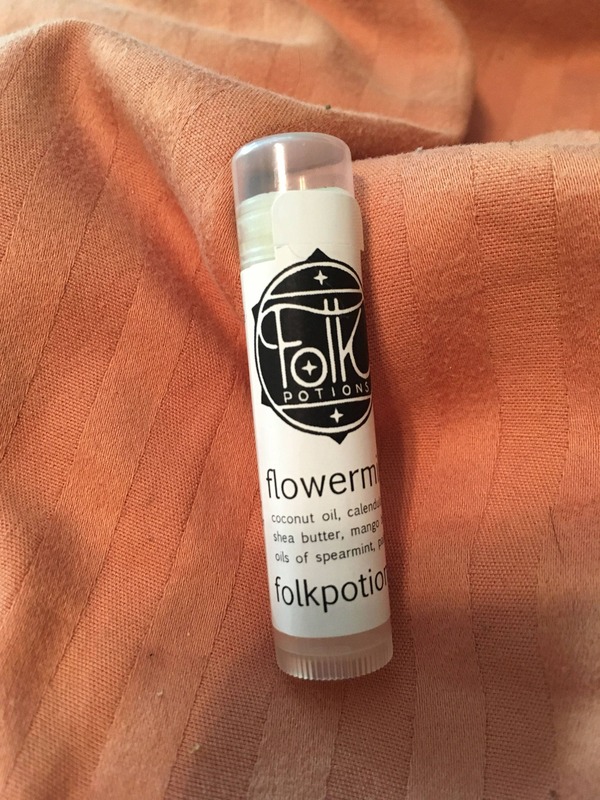 The lip balms made by folk potions are great! I like the melty mint a little more than the flowermint, but both are great!